Confidentiality and communication are prime considerations when liaising with clients. Delivering effective solutions to business and government sectors, law firm Gillis Delaney has proven clientele who can affirm the company’ s skill, expertise and confidence in legal matters. 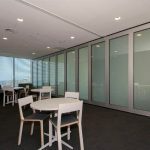 We were asked to manufacture a switchable glass operable wall system that would afford both privacy and acoustic resistance when required. 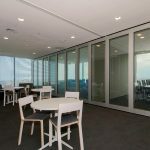 To complement the company’s boardroom design, sliding and stackable double glazed switchable privacy glass panels were manufactured and installed to divide the company’s meeting room from a common area. Our operable wall system was constructed from toughened SwitchGlass™ privacy glass panels within fully-framed double glazed units. 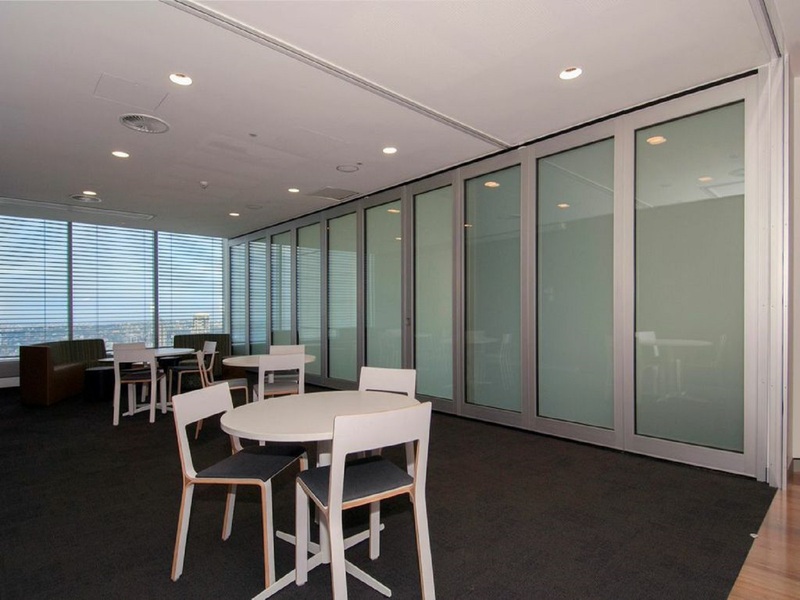 Reduced Voltage: Switchable privacy glass operable walls of this size and reach require a special, reduced voltage for operation in order to comply with the Australian/New Zealand Standard for Wiring Rules (AS/NZS 3000:2007). For this we supplied a series of adaptors (step-down transformers) with an output of 36V AC and 1500mA. 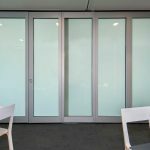 Acoustic Resistance: The SwitchGlass™ panels were incorporated into double glazed units of 100mm thickness with the switchable privacy glass on one side and clear glass on the other. These robust panels afford excellent sound resistance and a very high acoustic rating. 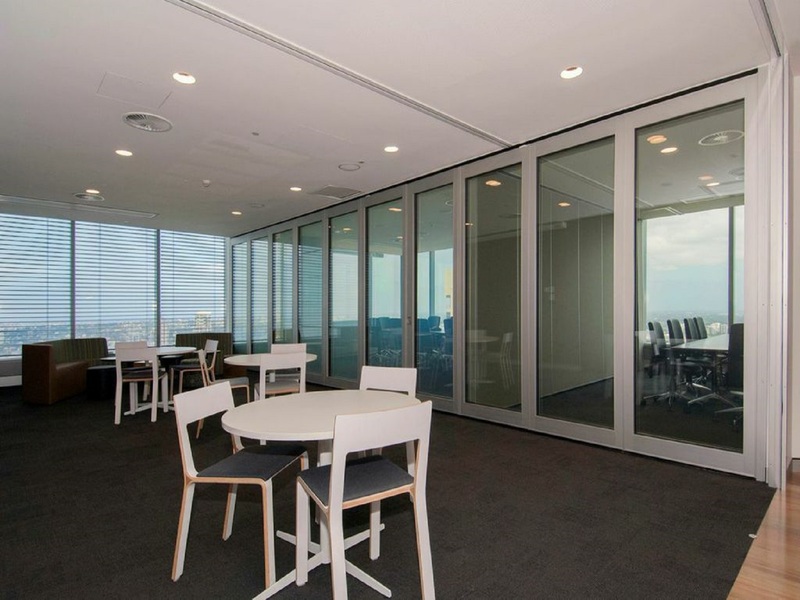 This is the first acoustically resistant SwitchGlass™ operable glass wall system built in Australia. 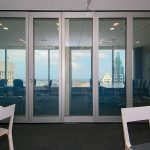 SwitchGlass™ Hinge System: A magnetic, proprietary Switchglass connecting hinge system was used. 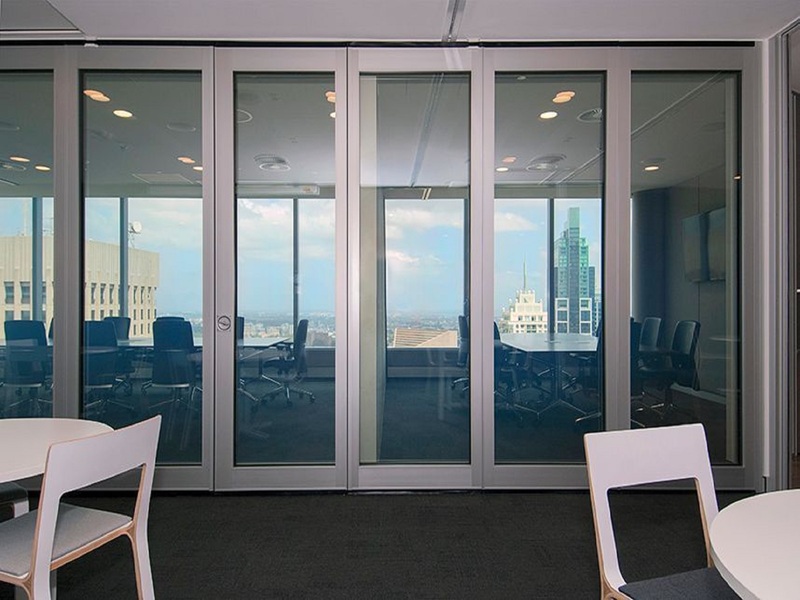 This system is designed specifically for either stackable or sliding electric operable walls. It enables an uninterrupted flow of electricity when the doors meet on closing, but disconnects the current when the panels are moved apart. 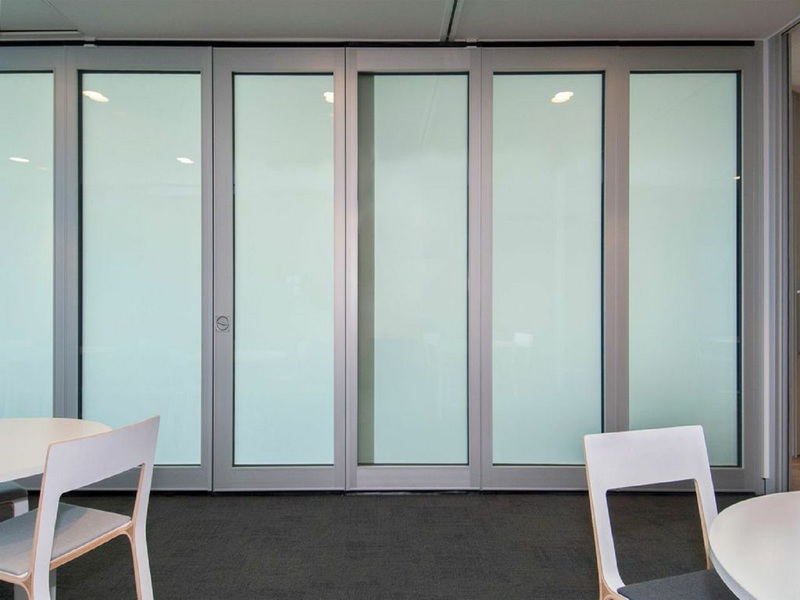 Incorporate Acoustic SwitchGlass™ into your design plans to create unique and innovative experiences.